Young Pakistanis use social media to make their voices heard in the wake of the Peshawar attacks. 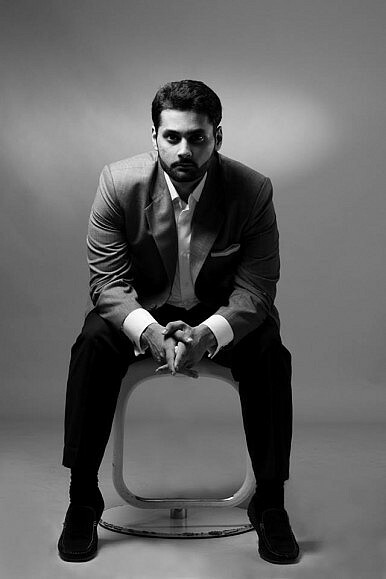 Mohammad Jibran Nasir is a young Pakistani activist from Karachi, leading the popular #ReclaimYourMosques campaign in Pakistan after the brutal Peshawar attack in which more than 130 children were killed in cold blood by the Tehreek-e-Taliban Pakistan (TTP). Nasir’s movement was initiated after the Lal Masjid’s imam, Abdul Aziz, refused to condemn the atrocity on a local channel. The staging of protests outside the mosque with Pakistan’s civil society was followed by the lodging of a First Information Report (FIR, a police complaint) against Aziz. Nasir vows to continue his campaign until Aziz is arrested. Jibran’s Abdul Aziz Challenge – in which Pakistanis urge the government to arrest the cleric – has gained momentum via social media. In an exclusive with The Diplomat, Nasir speaks about the power of social media for change, his movement, and the way forward. You were in the capital when the Peshawar attack took place; please run me through the day’s events leading up to your call of action for the Pakistani civil society to come together and protest outside the Lal Masjid [Red Mosque] in a bid to get Aziz arrested. I was coincidentally in Islamabad a day before the Peshawar attack for a conference, and when I learned about the attack I thought I’d stay on in Islamabad because I wanted to go to Peshawar the following day and see if I could be a part of anything organized there. But the same night Abdul Aziz was on television saying the most absurd and perverse things. 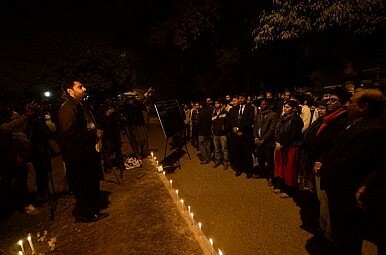 So the following day there was a vigil in Islamabad that I went to. I’d never been to the Lal Masjid before and I asked everyone at the vigil why not go to the Lal Masjid and have a vigil over there because you need to raise your voice and let those people know that those children who died in Peshawar are dear to us and that we don’t have any room for Taliban apologists. Only three women volunteered to come along with me in addition to a friend of mine, so the five of us went and held a small vigil there. I then posted a picture on Facebook and made a Facebook event for the following day. A lot of people showed up and that is how the movement started. Why the delay in Aziz’s arrest? I believe the IG [Inspector General] of the Islamabad police is the best person to ask regarding the delay in Aziz’s arrest. We as citizens can only file an FIR. Today a document was leaked in the media which was actually a report submitted to the IG of Islamabad police who had solicited legal advice. The report mentioned the recent video where Jamia Hafsa asked ISIS to come to Pakistan to avenge the 2007 military operation. Jamia Hafsa was actually violating Section 122 of the Pakistan Penal Code and that is waging war against the state. Even that report has been submitted to the IG of the Islamabad police on legal advice which they solicited on their own. They have more than ample evidence, not just our FIR, but other activities, and action should be taken against them. You received a threatening phone call from the Taliban, and in addition, a campaign initiated by a militant group is being aggressively spread against you via social media – are you concerned about your safety and your family’s safety? How do you intend on fighting this out? My parents are usually not supportive of my activism at all. I am not really concerned about my security in all honesty but yes I cannot be a fool and expose myself to everybody to come and take a clean shot at me. I’m trying to keep my public moments discreet but when you sign up for these things this is what is expected from day one. I mean you cannot really expect to go to Lal Masjid and call out Abdul Aziz and not expect any kind of repercussion. But what we need to realize as citizens of Pakistan is that those kids in Peshawar were not being vocal, they were not calling out terrorists, they were just going to school trying to get good education and they got targeted for nothing, for just being citizens of this country, so I believe as far as safety is concerned all Pakistanis should be concerned about that and it is this very concern which warrants action by the civil society outside Lal Masjid and other institutions which actively participate, aid and abet terrorism. You belong to a generation of young Pakistanis who use social media for social causes and protests – what advice would you give to young Pakistanis hoping to create real change within the country via technology? That depends on how you describe real change. I believe that right now Pakistanis taking the Abdul Aziz challenge initiated on Facebook is real change because people are actually liberating themselves of their fear, putting their money where their mouth is and not just being armchair warriors. Adding your face to the cause is a big thing in Pakistan and real change will of course come in very different ways. A lot of people are more politically aware now but as far as religion and religious militancy is concerned, social media is an amazing tool. It’s free media: You can post anything online. Of course, that has the tendency to be violated and misused as well, but at the same time you get the opportunity to speak your mind and you have access to every Pakistani politician as all of them are on Twitter. This is what has made the world a global village. For example, our campaign is being talked about in other corners of the world. Social media is a catalyst for change, it facilitates change. A new social media campaign was recently launched by the Punjab government where they’ve asked people to make a sound recording – of anything they may hear on the loud speaker of a mosque or madrassah by which violence or hate-speech is being spread – on their phone and Whatsapp the recording to a particular number; to the interior ministry of Punjab. That is social media and technology being used by the government itself to counter terrorism. Taliban apologists are claiming that you are launching an attack against mosques and Islam in Pakistan, can you please clarify the #ReclaimYourMosques movement within the country that is being backed by the civil society? This question has been raised again and again and that’s why we use the word “reclaim” your mosques as opposed to demolish the mosque or remove the mosque. We take ownership and responsibility for it. You are concerned about something you love, not something you like to ignore, hate or despise – I love the mosque as a Muslim. When I die my funeral prayers are going to be offered in one of those mosques, so it’s a big part of my social fiber, of Pakistan’s social fiber – an integral part of it. That’s why we’re so deeply concerned; it either has the ability to have very vast-reaching positive effects or negative affects and right now it is being used for negative affects as far as the Lal Masjid is concerned. So when we talk about reclaiming the mosque, we are in effect letting the world know that we love our mosque and hence we want to protect it. Have you received any support from political parties for the campaign? We met every single political party we could meet. Jamaat-e-Islami is the only political party yet to meet us, but we’ve expressed our wishes to meet them and communicate with them. Even though everybody on a personal level was very much on board, nobody as a matter of party policy has really owned the struggle. The only party to do so, so far, has been the MQM, but that happened independent of our movement as well. As far as our protests are concerned, a lot of senators and politicians have made an appearance at our protests but we didn’t see any political party gathering a huge crowd outside Lal Masjid with us even though we asked them time and again. Because when these guys want to shut down a city or block roads they get hundreds and thousands of people out but even if they’d helped us gather a few more hundred of their own to come and stand with us in the protest it would’ve been great. We actively want them to own this movement and it’s yet to be seen whether they’re going to do it or not. Pakistan has a relatively young population. 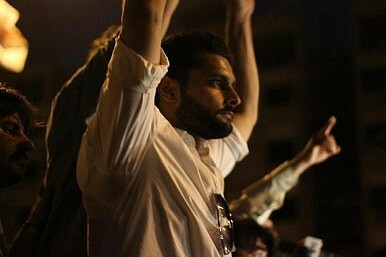 How can the youth within the country be galvanized and inspired to create change within Pakistan on a constant basis? What do they need; young leaders like yourself to guide them? What do they need to take ownership of their country again? The only answer for that is that I consider Pakistan to be my mother land; you need to be very clear on what your country means to you. People say they were brought up by their parents, but I slightly disagree, in Pakistan a healthy child’s birth is marked by the fact that the child receives a polio drop. I’m pretty the child’s parents never invested a single dime in the child’s doctor who administers that polio drop. From polio to pension, the language you speak, the people you meet, the friends you make, the parks you play in, the roads you travel on, the eateries you go to and dine out at, the places you work, all of that which makes you, nurtures you, educates and exposes you, that is all being done by the citizens of Pakistan. I think of these citizens as members of my family who have deeply invested in my life, those children killed in Peshawar were my children. Until and unless people don’t genuinely feel that pain – just changing your picture on social media and putting up a status does not cut it till you feel it. The ownership has to come from within. All the youth needs to do is genuinely love this country just like they love their own immediate family.